Technology can eliminate a lot of tedious, routine labor — a lifestyle payoff that can help persuade a younger generation to stay put on family farms rather than sell out. 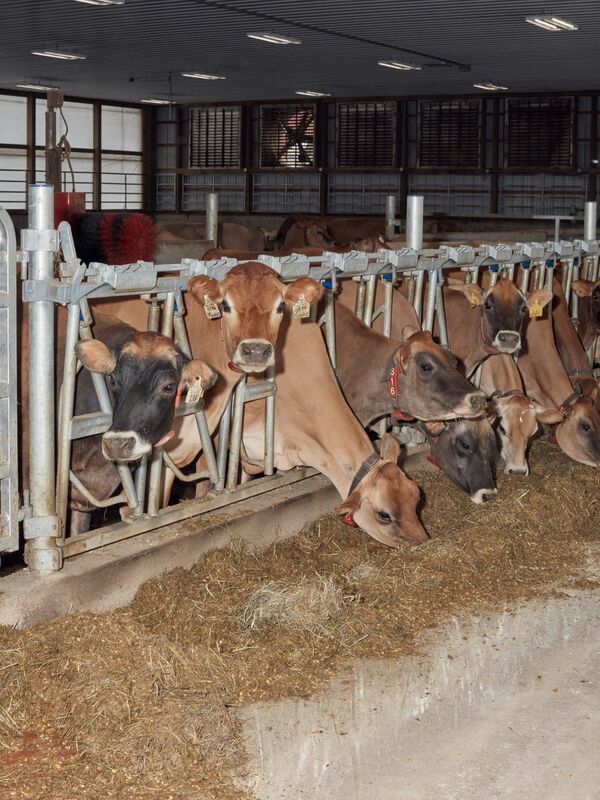 BULGER, Pa. — About 150 Jersey cows in the rolling terrain at Rivendale Farms in Bulger, some 25 miles west of Pittsburgh, wear FitBit-like collars that monitor their movement, eating and rumination patterns. They are milked not by humans but by robotic machines. 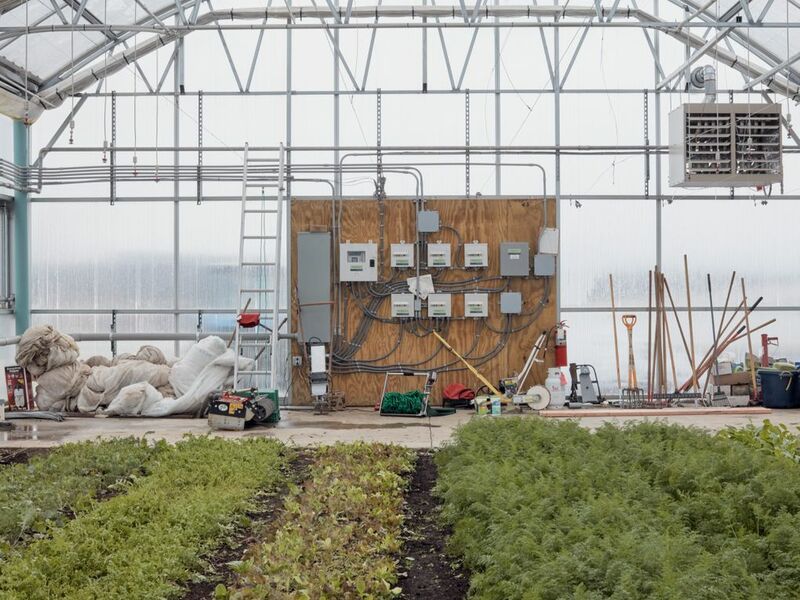 A nearby greenhouse, about a quarter-acre in size and filled with salad-bowl crops like kale, arugula and baby carrots, is automated. The temperature, humidity and sunlight are controlled by sensors and retractable metallic screens. And soon, small robots may roam the farm’s 8 acres of vegetable crops outdoors to spot disease and pluck weeds. Farming in America is increasingly a high-tech endeavor. Combines guided by GPS, drones, satellite imagery, soil sensors and supercomputers all help the nation’s food production. Yet that technology is mainly tailored for big industrial farms, where fields stretch as far as the eye can see. Rivendale Farms, which has just completed its first year of full operations, offers a glimpse of technology coming available for smaller farms. Technology for giant farms is all about increasing yields and cutting costs. For smaller farms, too, efficiency is paramount. But technology can also eliminate a lot of tedious, routine labor — a lifestyle payoff that can help persuade a younger generation to stay put on family farms rather than sell out. Smaller farms typically raise specialty crops on limited acreage. Specialty farming requires a scaled-down approach, like the small robots being developed for Rivendale by scientists at nearby Carnegie Mellon University and the expanding array of equipment from the “slow tools” movement, a group of farmers and engineers designing affordable tools for small farms. Rivendale can afford its combination of cutting-edge commercial technology and science experiments because Tull is a billionaire serial entrepreneur, investor in tech-related ventures and former film producer. He is also on the board of Carnegie Mellon. He has spent several million dollars on Rivendale so far. But the plan, Tull said, is for the farm to become self-sustaining by 2020. 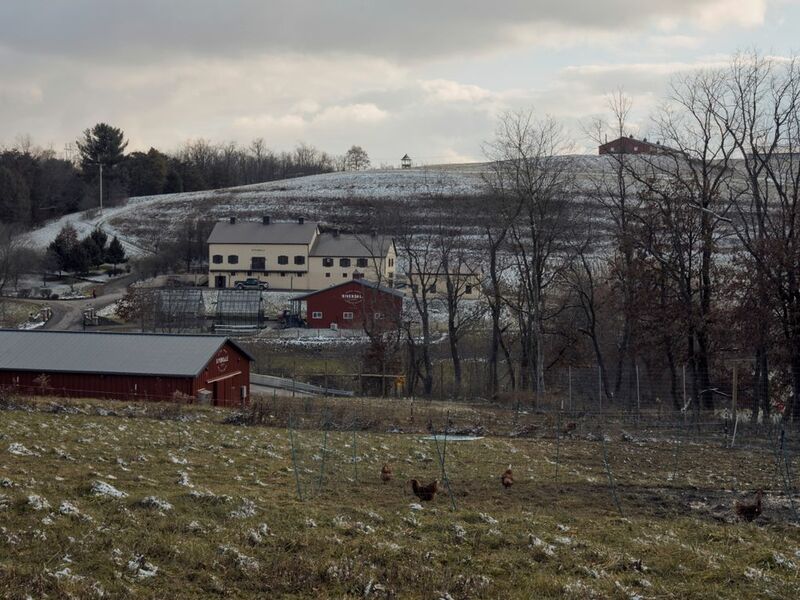 “We’re seeing greater use of modern technology and tools in smaller, soil-based farming, and that vision is being wholeheartedly embraced at Rivendale,” said Jack Algiere, farm director at Stone Barns Center for Food and Agriculture, a nonprofit farm in Pocantico Hills, New York, that has been a leading advocate for sustainable agriculture on small farms. Tull bought the land in 2015, and construction started the next year. It is now a diversified operation with milking cows, breeding cows, vegetable crops, corn for feed, chickens, even honeybees. Rivendale, including pasture land, cover crops and woods, spans 175 acres. Farming in America has been consolidating for decades, with the average size of a farm being 444 acres in 2017, according to government statistics. And more than half of the value produced by the nation’s agricultural sector is generated by a small fraction of very large farms, 2,660 acres on average. Rivendale’s milk, eggs and produce are sold to local restaurants and hotels. It also supplies food to the Pittsburgh Pirates and the Pittsburgh Steelers, in which Tull is a part-owner. Walk into the dairy barn at Rivendale and there are no people — only cows, an automated feed system and three robotic milking machines. A cow on an automated milking machine at Rivendale Farms. The cows are milked four times a day on average, when they feel ready, compared with the traditional twice-a-day regimen when humans manage the milking. (Ross Mantle/The New York Times). The Rivendale cows are milked four times a day on average, when they feel ready, compared with the traditional twice-a-day regimen when humans manage the milking. And its Jersey cows produce 15 percent more milk than the average for the breed, with a higher protein and butterfat content, said Christine Grady, general manager of Rivendale. It takes a week or two for the cows to get accustomed to the robotic milkers and the built-in incentives, said Rodney Rankin, who leads the dairy operations. The milking stations have vanilla-flavored feed pellets, but a cow cannot just come back repeatedly for the treats. Sensors and a scale — a cow’s weight can vary by up to 75 pounds in a day — prevent cows without reasonably full udders from getting in. Once the cow is in the stall, the teats and udder are washed with little rotary brushes. 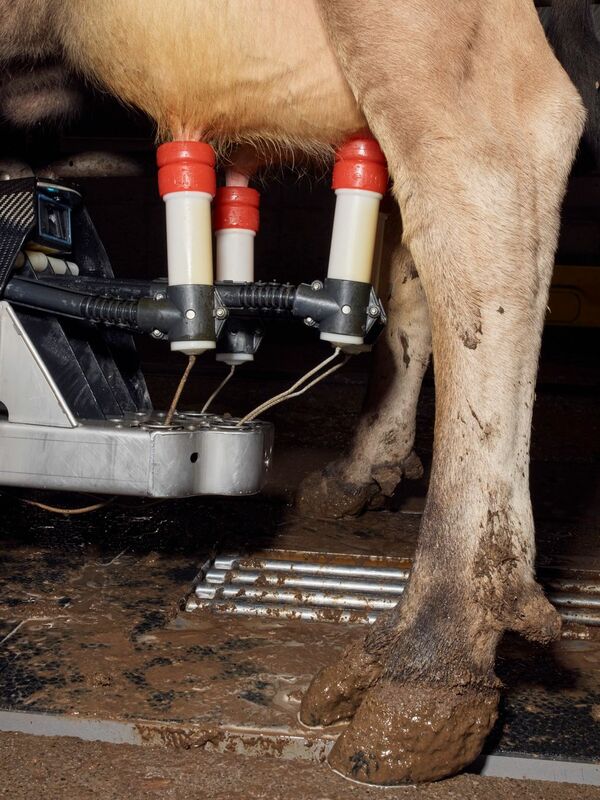 Lasers scan and guide the milk suction devices onto each of the four teats. Milking time is six minutes on average. At the end, the cow is sprayed with iodine and steam to clean its udder. Robotic milkers have been available for years. But the technology has steadily improved, requiring far less human assistance than a few years ago. The machines cost about $200,000 each. Without them, and an automated feeding system, the milking barn at Rivendale would require five workers instead of being mainly overseen by one, Grady said. Cows at Rivendale Farms in Bulger, Pa. (Ross Mantle/The New York Times). The Rivendale robotic milking machines are made by Lely, a Dutch company and a leader in the industry. In some European countries, up to 30 percent of the cows are milked by machine, while in the United States the share is about 2 percent, estimates Mathew Haan, a dairy technology expert at Pennsylvania State University’s agriculture extension program. The gap, Haan said, is largely explained by more generous programs that support milk prices as well as higher labor costs than in America. These two factors have encouraged investment in automation in Europe. Rodney Rankin leads the dairy operations at Rivendale Farms. It takes a week or two for the cows to get accustomed to the robotic milkers and the built-in feeding incentives., Rankin said. (Ross Mantle/The New York Times). In the United States, even large-herd producers with thousands of cows in California, which have been labor-intensive operations, are beginning to try robotic milking machines. That is driven partly by changing immigration policies that may create a shortage of farmworkers. But to date, the main market has been smaller operations with 120 to 240 milking cows, said Steve Fried, Lely’s North American sales manager. George Kantor, a senior systems scientist at Carnegie Mellon’s robotics institute, is leading the effort at Rivendale to develop “scouting robots” to identify disease and weeds in the vegetable field, and then send smartphone alerts if there is a problem. His team did field work and collected data in the fall, then shifted to a university lab for the winter. Computer vision and machine learning, Kantor said, will be deployed to distinguish healthy plants from diseased ones and weeds. A next step would be to get rid of weeds. Organic farming avoids pesticides. And digging up or pulling weeds, Kantor said, would require hand-like grasping and holding, a more daunting robotic task, where progress has been slower. Some technology at Rivendale is more neat hack than high-tech. Susanna Meyer, head of crop production, is fond of a greens cutter whose engine is a battery-powered electric drill, and a small electric tiller called the Tillie — one of the slow-tools implements. 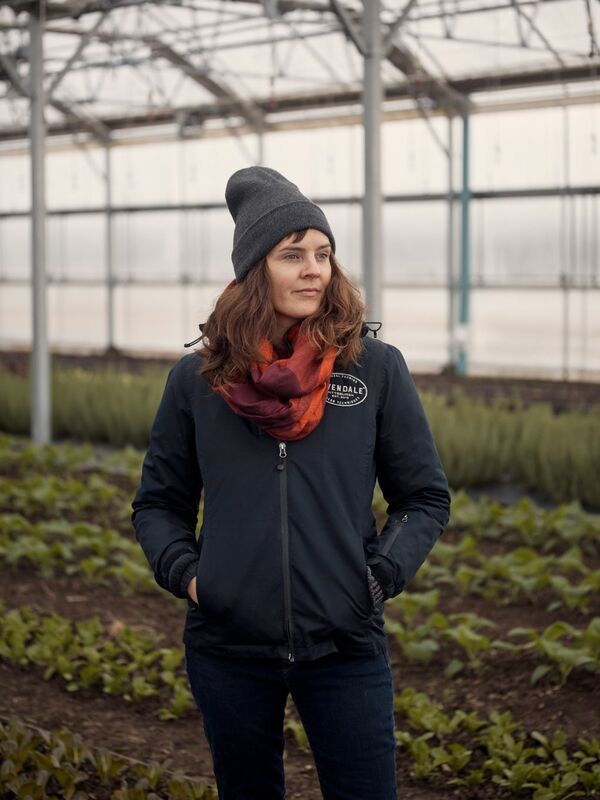 Susanna Meyer, the head of crop production at Rivendale Farms. (Ross Mantle/The New York Times). Michael McGowen, a former staff scientist at Los Alamos National Laboratory, bought a farm in Oregon a decade ago, started growing vegetables and found there were no affordable tools for small farms. So he designed his own including the Tillie, whose basic model sells for $495, and set up a business, Carts and Tools, in Corvallis, Oregon. Johnny’s Selected Seeds, a leading distributor of the small-scale farming tools, has seen that business increase fivefold over the past 10 years, said Adam Lemieux, the company’s product manager for tools and supplies. To most longtime farmers, AI stands for artificial insemination, not digital wizardry. But a new generation of family farmers is welcoming robotic assistants and smartphone apps. “They have a different mindset, and they are all trying to figure out a path ahead for their family farms and where technology fits in,” said Jeff Ainslie, a vice president of Red Barn Consulting, which advises family farmers. Scott Flory is one of them. 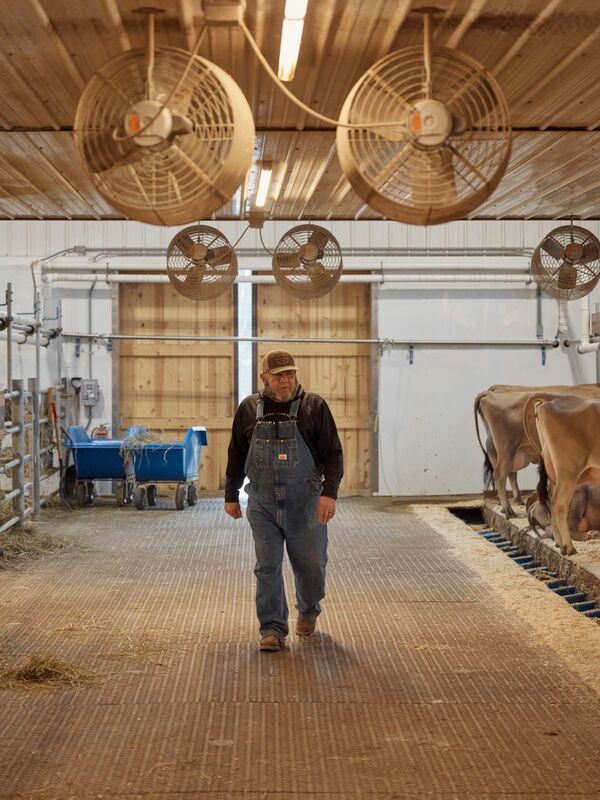 After earning his degree in dairy science from Virginia Tech, Flory returned to his family farm in Dublin, Virginia, in 2009, with ideas for modernizing its operations. 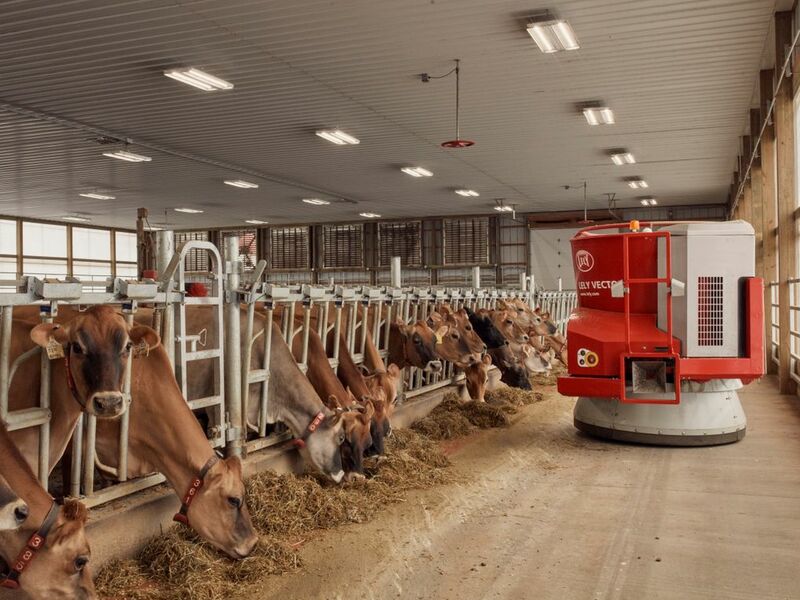 Since then, the farm has installed four of the Lely robotic milkers, equipped the cows with activity trackers and doubled the number of its milking cows to 240, without adding workers. The farm remains almost entirely a family affair, run by him, his wife, Laura, and his parents, Dale and Janet. “I wouldn’t be in the dairy business today without this stuff,” said Flory, who is 30. At Rivendale, Tull, the owner, has no doubt that advancing technology will transform smaller farms someday. Rivendale Farms spans 175 acres in Bulger, Pa., near Pittsburgh. The venture offers a glimpse of the technology becoming available for smaller farms — like robotic milkers and automated greenhouses. (Ross Mantle/The New York Times). The automation panel controls temperature, humidity and sunlight in the greenhouse at Rivendale Farms. (Ross Mantle/The New York Times).